The Google Trusted Stores extension module is an advanced module, which provides integration with Google TrustedStores. 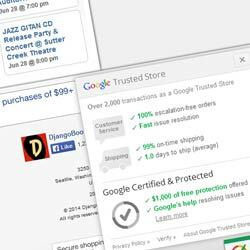 Show your customers that you can be trusted by displaying the Google TrustedStores badge. Exports order information to Google for trust ratings.